Complete the on-line enrollment form to get started right away! Begin your sales efforts using the Order Taker form inside your catalog. Collect pre-payment from your customers upfront. Take your catalogs to work, school, church or meetings to sell to friends and family. Consolidate all orders using our Fundraising Consolidation Form and submit via email, fax or mail. KEEP 40% of the profits (we only charge you the 60% rate). You may also place your order online by logging in here. (There is a $200 order min for the first order of the season, $100 re-order. Online orders much reach $200). Orders will arrive within two weeks of receipt of payment. We will ship your items to allow you to distribute to your customers directly. 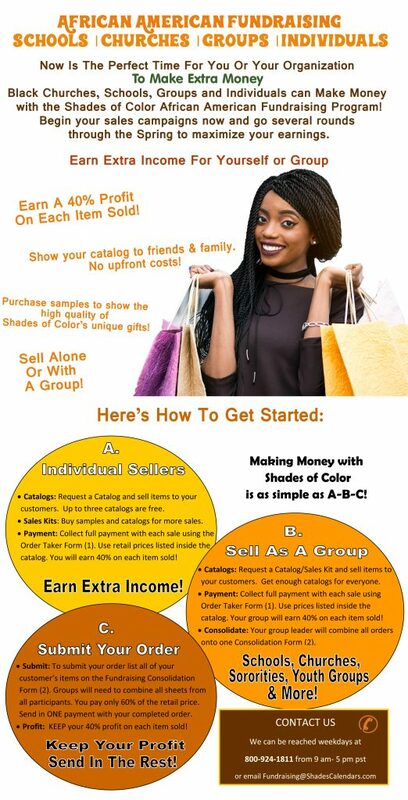 Shades of Color is a leading African American Fundraiser here to help you and/or your organization earn extra money for whatever your goal may be! Sell the finest African American products and grow your resources! 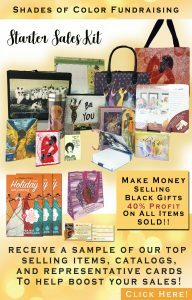 Our fundraising program is unique in that all of our high quality Black gifts are created with genuine African American Art. 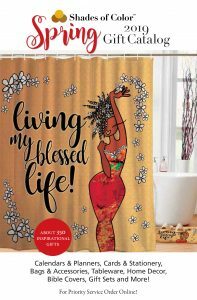 We believe in supporting our Black artists and providing a healthy alternative to typical fundraisers with exciting gifts that last longer and have more impact than candy, magazines or wrapping paper.